JavaFX allows one to define an UI not only using the JVM-Language of your choice but also by describing the UI in an XML-Format which is turned into an object graph at runtime. * Copyright (c) 2008, 2011 Oracle and/or its affiliates. <AnchorPane fx:controller="demo.LoginController" id="Login" prefHeight="280.0" prefWidth="480.0"
As you see in the end my DSL looks very similar to FX-Script (I’ve never used it myself so I’m doing guess work here). What I have currently is the default generated editor (took around 8 hours) and I’ll include this initial version into the up-coming e(fx)clipse release. 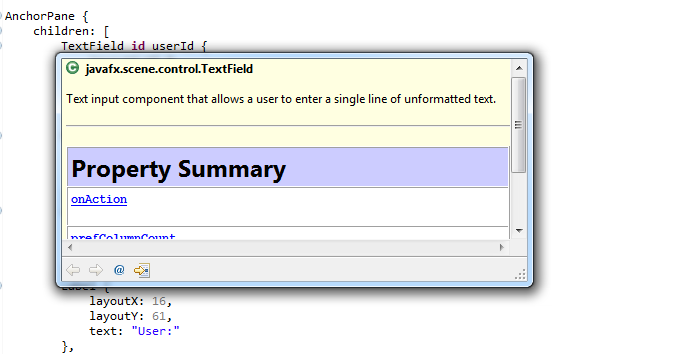 The Xtext + Xbase + Xtend2 combinatio is great, isn’t it! I think you should add Jvm types in the expression, i.e. 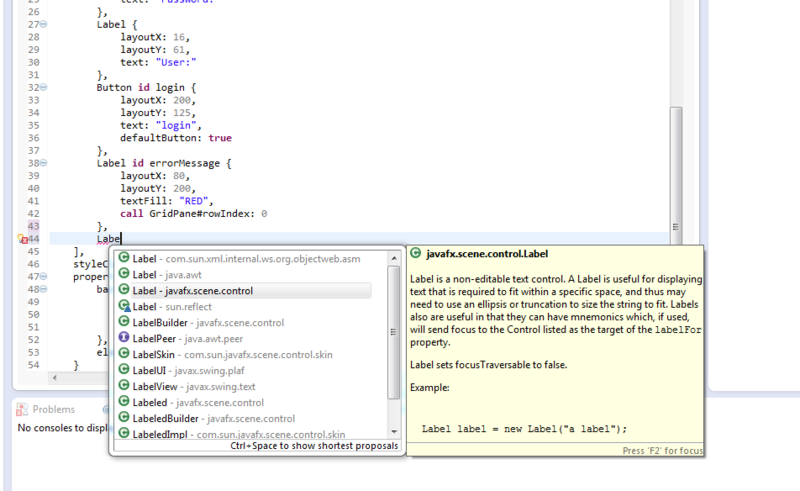 Xtext + JvmTypes + Xbase + Xtend2, since it 1) is an important part of the mechanism and 2) useful on its own. Thanks for your great work creating this tool! It’s made editing FXML files much easier. However I’m having problems using the fxgraph editor – I can’t work out how to generate the FXML file. Is there a options panel that I’m missing? I was also wondering if you’ve included the live interface preview in the 0.0.6 release or is it just an example?